I’m trying to extend my zwave network to two other buildings with Schlage Home Keypad Lock (FE599). I purchased two AEOTEC Range Extender 6s. They pair with my SmartThings Hub v2 as RGBW light bulb. I have used IDE to change the device handler to zwave generic device. However, I don’t think the devices are extending the zwave. When I do a network repair, these two device fail to update the mesh info. Is anyone using this device successfully with a Hub v2? Any suggestions on how to make this device work correctly? I have tried removing them and adding them back into the network several time. No luck. 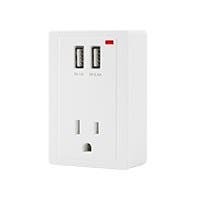 The single purpose range extenders were useful back in the third generation of zwave when not every device ran at full power. But now that we are at the fifth generation (Z wave plus) , these devices don’t do anymore than any other mains powered Z wave device does. So instead, you might as well just get a zwave plus light switch or pocket socket or plug-in sensor and get double use out of the device, you will get the same “extend the mesh” result. That said, your other devices won’t know they are supposed to use any new repeater unless you run a Z wave repair utility after you install the new repeater. They’ll just continue to use their old neighbor tables. So when is the last time you ran the zwave repair utility? And what were the results? Also, the utility should complete fairly quickly, but it takes time for each individual device to update its own neighbor tables, so you may not see improvements until the next day. So be patient when evaluating the impact of new repeaters. The range extender is gen6 with zwave plus. I have repaired the network several time. The extenders always fail to update the mesh info and route. – sometimes chicken, sometimes feathers! It sounds like they are physically too far away from the next nearest repeater. If you leave one close to the hub and run the repair, does it still have the error messages? I’ve got the same problem…ir shows up as a RGBW led bulb… I would settle with a standard Z-Wave extender that is available but how do I change it? I am having the exact same problem. I have a light switch that occasionally says unavailable, so I thought maybe range was an issue so I bought the the ZW117 repeater and out it in between the hub and the switch. It discovered as an RGBW bulb so I have no idea if its doing anything or not. Your post wasn’t clear – – what do you mean “fix this”? A repeater will work pretty much regardless of what device type the pairing process selects, so that shouldn’t be a problem. The repeating function doesn’t turn on and off even if it looks like it’s a switch. It’s just always on as long as the device is on power. Did you run a Z wave repair after you added the device? That’s the only way to get your other devices to use it as a repeater. Wait until tomorrow to run it, though, because the entire platform is having problems right now. Having the same issue. 100+ year old house - where I need the extender is on the old wiring and the electrician can’t put a smart outlet. Older posts indicate that this is suppose to be red to show it is paired. Is that still true? It blinks green, like it is still trying to do something, even after it paired as a light bulb. Continues after I changed it to be a Z-Wave Relay. Z-Wave network repair has not helped. Anyone get this to work lately? According to the manual, when you plug it in and tap the button, it should flash green repeatedly while searching for the hub. When it connects, it turns a solid green for 2 seconds. However, if it turns red for 2 seconds and then shows multiple colours, then that means that it was unable to join the Z-wave network. I initially ran into trouble with my device, but then I just put the hub in device exclusion mode, pressed the repeater button and that did the trick. I added it to the hub easily after that. Had no problem adding Aeotec Range Extender 6 to my SmartThings V2 hub. When plugged in it started running the LED thru multiple colors. Pressing the button caused it to start flashing green. It paired to the hub quickly, turned solid green for a couple of seconds then the LED went off. Device type in SmartThings web IDE shows it as “Z-Wave Range Extender”. @JDRoberts, I don’t completely agree that range extenders have no place now. I’m just starting my my SmartThings build-out and needed a signal boost from the hub to the first two smart switches I installed (Zooz ZEN26). As it happens there’s an outlet behind a cabinet that’s unusable for actually plugging in anything. It happens to be about half-way between the hub and the problem location. A repeater stuck in there was just what I needed. Cheaper than a pocket socket and easier than putting in an smart outlet. If you can get it cheaper than a pocket socket, then, sure, you can use it. But it’s no different then a pocket socket in terms of its repeating capabilities. I can almost always find a less expensive pocket socket. Zwave products has one right now that’s eight dollars, although it’s classic zwave, not Z wave plus. I expect ring will probably add one for their security system later this year. So it just depends on what you can find. But I’d rather have the switch options.